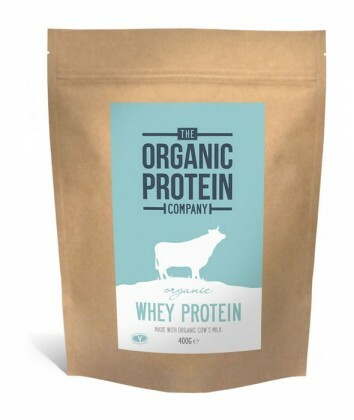 Organic Whey Protein Powder 400g – The Organic Protein Company. Grass fed cows* – Cows roam open, unpolluted, organic pastures. Highest quality and great tasting. Also high in calcium and super low in carbs and fat. SKU: 1006. Categories: Proteins, Sports Nutrition. Highest quality and great tasting, each serving contains > 75% organic whey protein. Each 100g of powder contains 77g whey protein. *Grass at least 60% of cows diet. 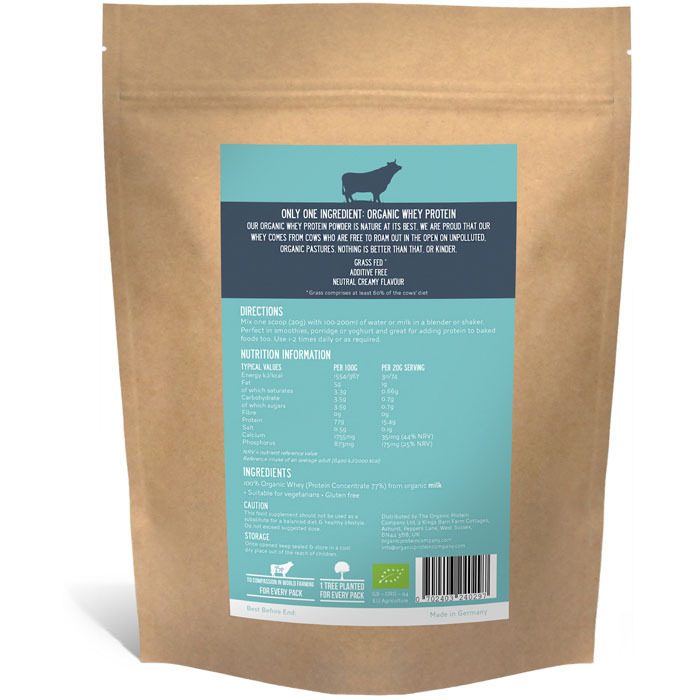 Free scoop included – Made from 100% recycled milk bottles. BPA free. Blend or shake 20g with 100-200ml of milk or water. Great in yoghurt, porridge and smoothies. Use 1-2 times a day or as required. 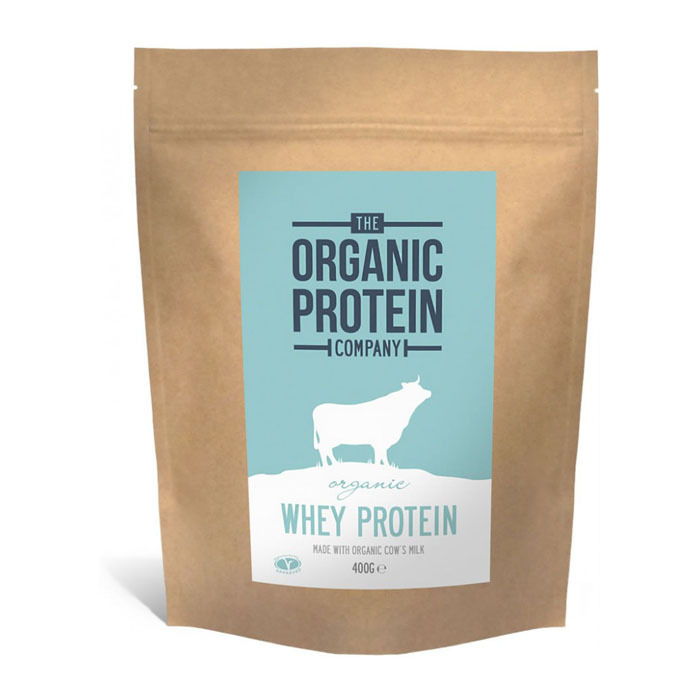 100% Organic Whey (Protein Concentrate 77%) from organic milk. Best organic protein I have found so far. Making gains and know that im not putting rubbish in my system.